Aluminum cans pile up in a bin at the Warner Park Recycle Center on Friday, July 13, 2018, in Chattanooga, Tenn. This story was updated Oct. 24, 2018, at 6:42 p.m. with more information. Students and educators at environmentally focused charter school Ivy Academy have thrown their support toward a soon-to-be proposed bottle bill that backers promise will drastically reduce litter and bolster recycling rates. 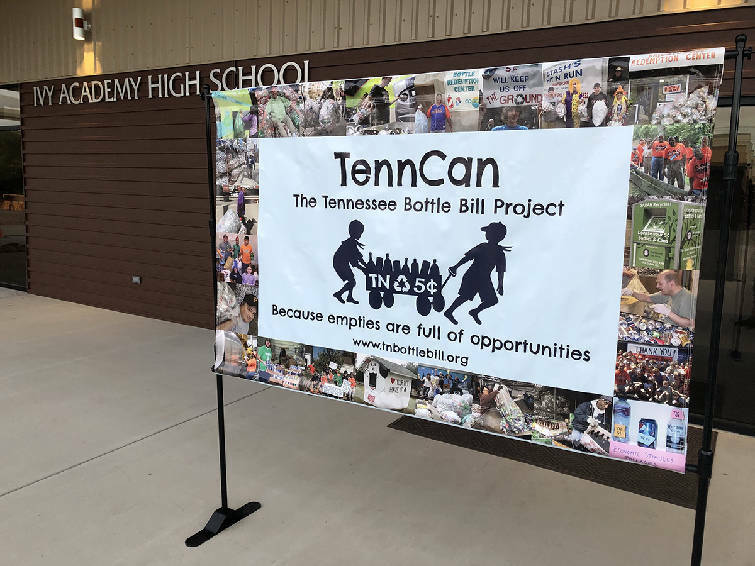 The school hosted a public presentation to answer questions and provide information about the Tennessee Bottle Bill Project, known as TennCan. It was the first public event in the school's new building, which opened Thursday. "To me, this is what we're supposed to be doing," Ivy Academy educator Jim Watson said. "Yes, we're a school and educate the students, but we have an environmental twist on being environmentally responsible. If the kids get involved with something like this and educated at the same time ... that's what this should be about." Students put on costumes and performed a skit in support of the bill to begin the evening. The students focused on the harm of littering and were told by the "friendly eco-fairy" about the benefits of incentivizing recycling. The bottle-return program adds a five-cent recoverable cost to bottle containers made of glass, plastic, aluminum or other metal, of any size. Customers receive their nickel back for each bottle they return. 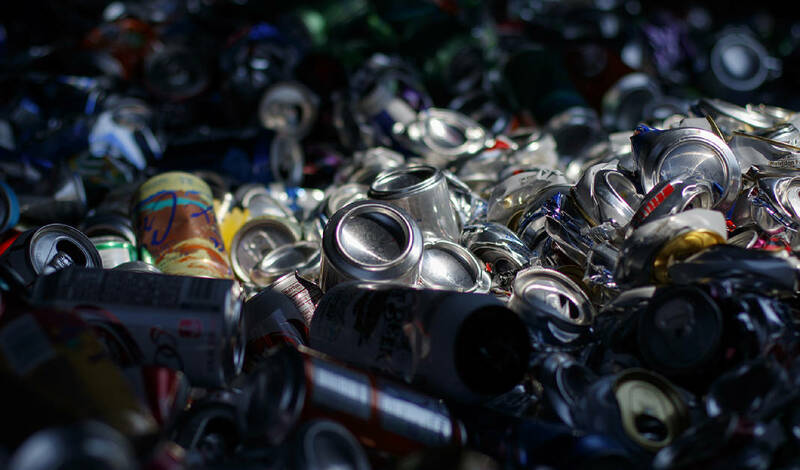 The 10 states that have implemented similar bills — and other countries and territories around the world — have seen recycling rates balloon to more than 80 percent. The proposed bill has received overwhelming support from legislators and the general public but has been opposed and lobbied against by bottlers, who would be hit with a fraction of a penny cost on each bottle to support the program. A University of Tennessee study and a Middle Tennessee State University poll have previously shown the bill has more than 80 percent support in the state. Eighteen Tennessee counties have voted on resolutions of support for the bill or similar bills in the past, and 17 of those resolutions passed, TennCan coordinator Marge Davis told the crowd. "It's nonpartisan, it's not even just bipartisan. It transcends any kind of party loyalty," Davis said. "It's really all about making, as Jim [Watson] said, making Tennessee and the U.S. better." Watson and Davis invited candidates running for state office and the Hamilton County Commission to attend the event. Davis was hoping to gain the support of the commission. Of those invited, state House candidate Robin Smith was the only one to send a representative. Smith said she became especially concerned about plastic waste in Tennessee after reading a Times Free Press article about litter in Chattanooga Creek. The candidate hasn't formally endorsed the bill but said she is interested in ways to clean plastic waste and wanted to learn more. "I think it may be a good approach, and I needed to get more information," Smith said. "I wanted to have that show of support. I want to look for solutions like that because we can't keep going at the rate we're going unless someone wants to foot the bill for the expansion of landfills, and I don't think anyone really wants that." TennCan, which will be introduced in the next state legislative session, has received support from senators and representatives. It is sponsored by conservative leader Tennessee state Sen. Frank Niceley, R-Strawberry Plains. Niceley is co-chairman of the Senate Agriculture Committee, which will be the first committee to vote on the bill.